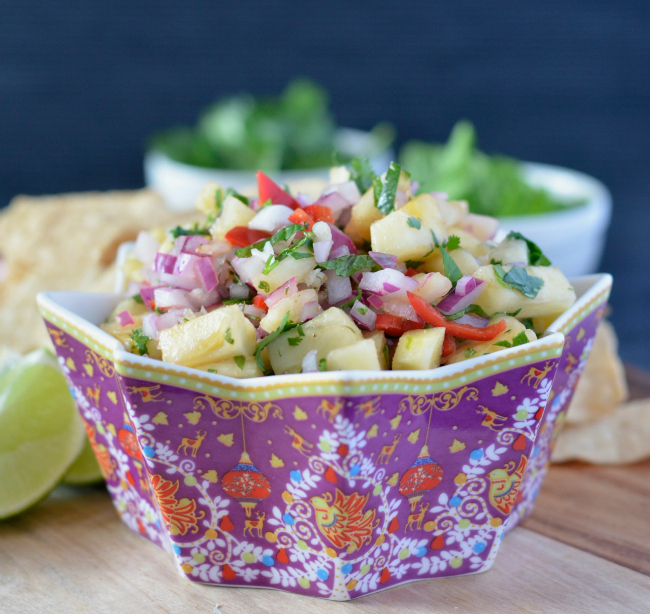 This pineapple salsa is perfect for topping your tacos, eating straight with some tortilla chips or apparently it also goes well on fish too. Pineapple has always been one of my favourite fruits so this is definitely a winner in my books! So, over to the recipe! If you like things on the spicy side then feel free to up the chilli content, and likewise you can always remove the seeds to the chilli to cool things down a little. 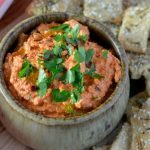 I like it with a bit of a kick, but not overpoweringly spicy so one good sized chilli – with seeds – works perfectly for me. 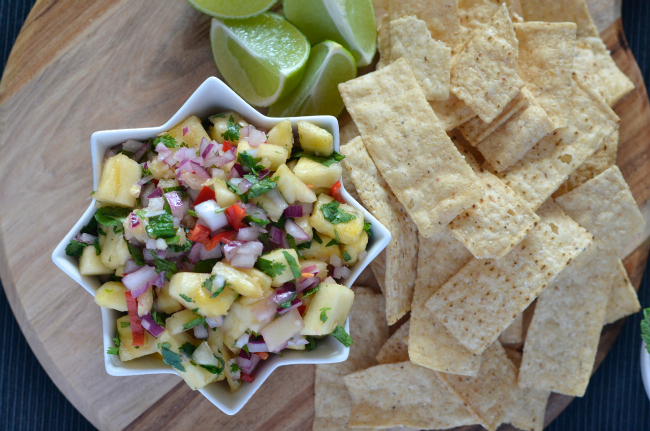 This pineapple salsa is such a nice alternative to your standard salsas, it’s good to mix things up sometimes! 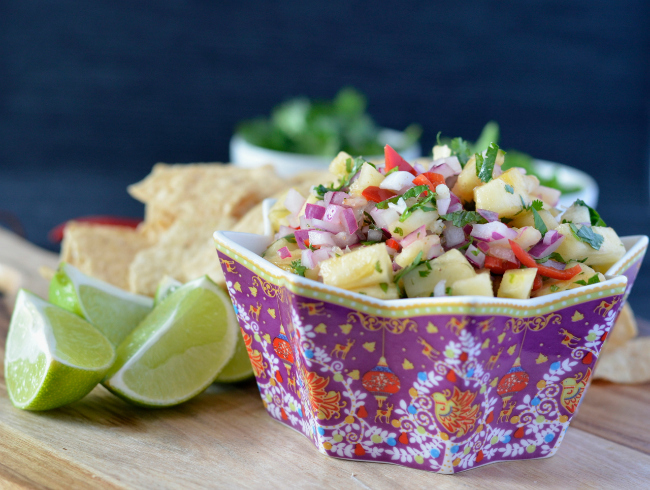 Serve it with a bowl of my go-to guacamole and you’ve got yourself a winning mexican platter! 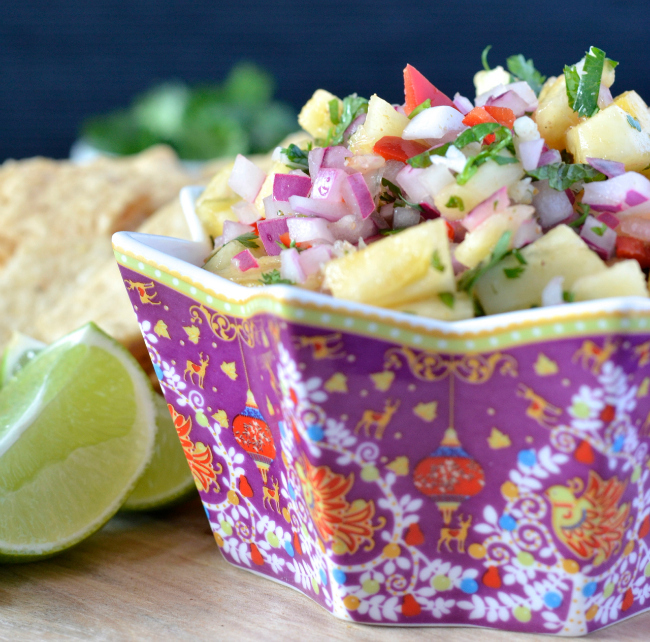 Have you tried pineapple salsa before? I highly recommend you do! « Top 10 Posts of 2015! I will definitely be trying this, thanks liz! I love pineapple! and it looks soo pretty! 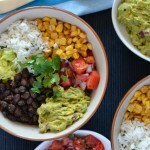 colormeanna has a salad a day comp! 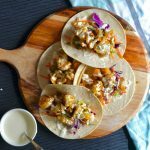 Pineapple has always been one of my favourite fruits so it’s good to have another use for it! Perfecto, I love the addition of pineapple! Sounds super tasty. Cutie cute bowl, too. 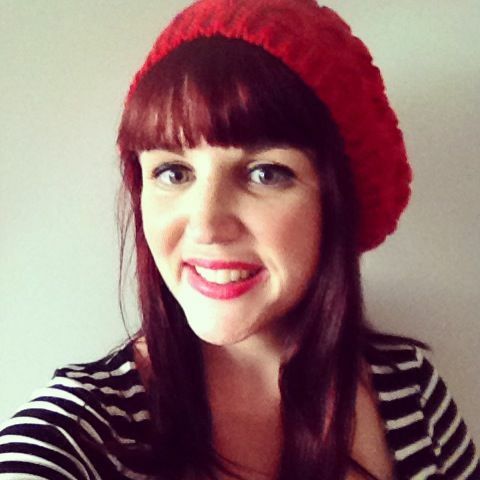 vegeTARAian recently posted…Screw resolutions… What are your GOALS for 2016?